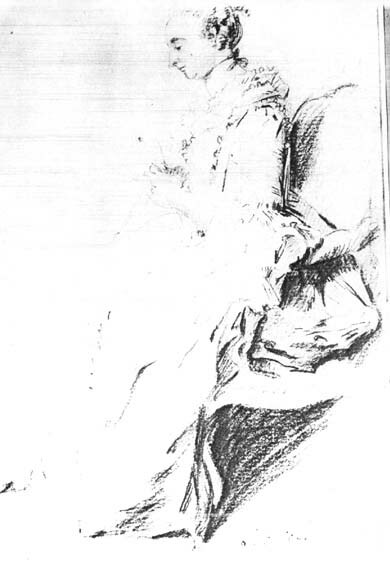 This drawing is probably the artist's mother, Jeanne Maissin Le Sevre. 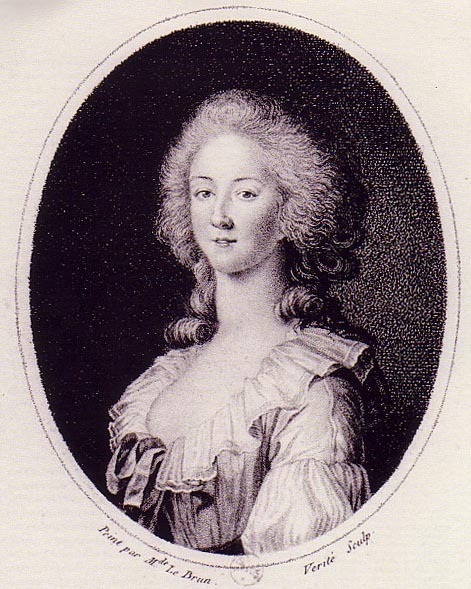 The Princess de Lamballe was born in 1749. She was married to Louis Stanislas, the Prince de Lamballe (1747-68), the brother of Louise Marie Adélaïde de Penthièvre (the future Duchesse de Chartres). She was widowed at the age of 19. The Princess de Lamballe died on 3 Sept 1792 in Paris after she returned from England to help her queen. 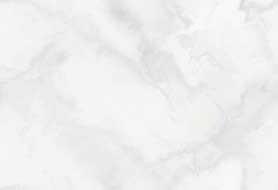 She was decapitated and her body was lacerated. Her head was mounted in a stick and put in front of the window of the temple where Marie Antoinette and the royal family were imprisoned. Another image of the Princess de Lamballe appears on art page 100 . 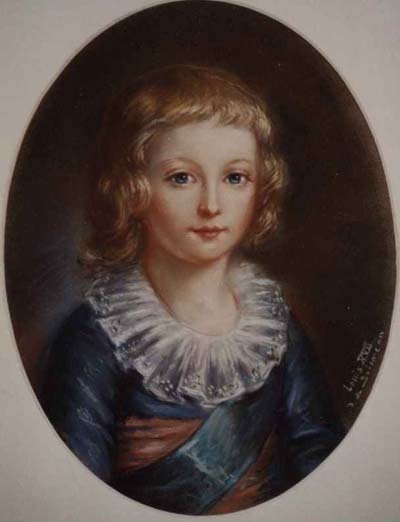 Portrait of Louis XVII, son of Marie Antoinette and Louis XVI (1785-95). Attributed to Vigée Le Brun.